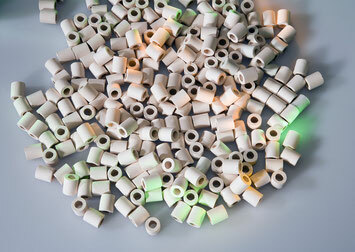 EM ceramics has extraordinary properties derived through the production process. The information ( DNA) from the Effective Micro-organisms is captured forever within the clay after baking at high temperatures. These properties include a resonance of health promoting frequencies. As resonance is most strongly transferred in water EM Ceramics are extremely useful in restoring the water clusters that reduce calcification and boost the energy of water. The water quality improves and stays fresher longer. • In drinking water bottles and water storage cans. • Place a few pipes in the cistern of the toilet. • In the spray nozzle of the shower head (if possible). • In watering can for house plants and in vase water for cut flowers. • Washing machine: place about 50 ceramic pipes in a cloth bag, or net bag and add to wash load. • Dishwasher: some ceramic pipes lay loose in the cutlery basket. • In the filter tank of aquarium or on the . • Place in a bowl of fruit or refrigerator to keep food fresh. Activates water through the reduction of water clusters, which causes a reduction of the surface tension resulting in reduced oxidation. Has an infrared radiant effect. Almost unlimited life. • Place the stone in a water jug. • In all kinds of cold drinks. FOR THOSE who like taking a bath in revitalized water. 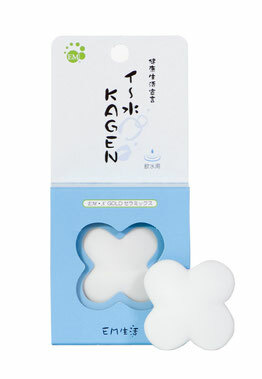 Activates water by the reduction of the water clusters, reducing the surface tension. 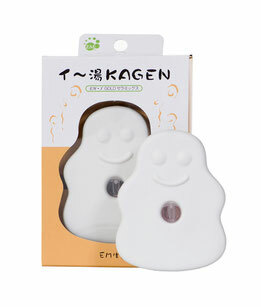 Produces resonance waves with a positive energising effect on the water. For those who like taking a bath in revitalised water. • Attach the EM-ceramic bath stone to the side of the bath so that it is in the water whilst the bath is filling and during bathing. ( eg. boiling rice, pasta, potatoes etc). The unique shape and temperature used when baking the clay gives the stone energising properties and reduces water clusters which improves water quality. The result is a better tasting higher quality food. 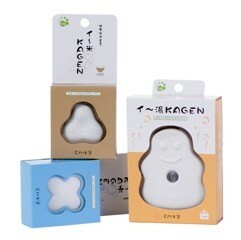 The EM Ceramic cooking stone will last for many years. • To cook: eg rice, pasta, potatoes. • In tea and other hot drinks. 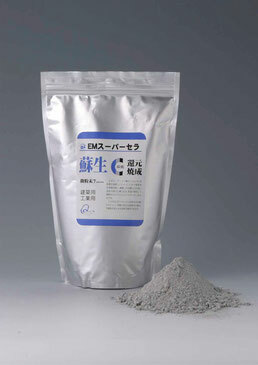 EM-ceramics is also ground into a powder and available for many uses. 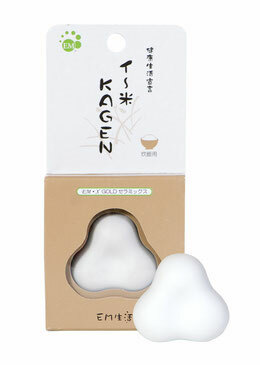 EM ceramic powder can be used in the fermentation of kitchen and garden waste (Bokashi). There is also an EM ceramic powder for mixing into building materials such as paint, glue, cement and another for concrete, giving extraordinary benefits . (powder has a light colour, and thus has no effect on the colour of the paint). Use : 1% per Bokashi bucket. • Mix EM ceramic powder in paint or glue to sharply reduce odours and toxicity.